The pulp, or the fiber, is also known as roughage or bulk. These are the parts of the fruits/vegetables that your juicer retains behind when it separates the juices from the plant foods. There are two categories of fiber - soluble and insoluble fiber. Your body needs both of these. When consumed, these fibers do not get digested but pass through your digestive system unchanged. On its way to being eliminated from your body, it adds bulk to your stool and softens it, preventing constipation. 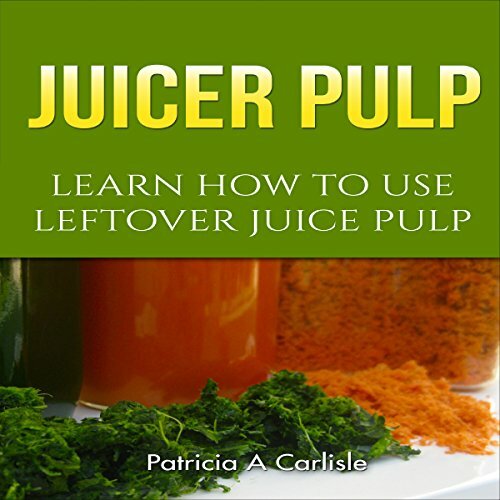 This book is, after all, about juicer pulp for health, teaching you the means of using juicer pulp. According to the American Dietetic Association, people need to consume between 25 to 38 grams of fiber a day, but most Americans get nowhere near this amount. This is because most processed foods has no fiber and are filled with sugar, fat, and flour. Juicing is great for your health, but you might not be happy to waste the fiber contained in the produce. When you juice your fruit and vegetables, you separate the liquid from the fiber, so the pulp left after juicing is full of fiber. There are plenty of ways you can maximize the value of your veggies and incorporate this pulp into various recipes. For the non-juicing people, let me define some terms. When you juice something like fruits, or veggies, your juicer separates the juice from the fiber. The juice goes into one bowl and the fiber, the juice pulp, goes into another. Most people who juice just throw away this pulp, and there's nothing really wrong with doing that. After all, most of the nutrients have been extracted and consumed in the juice. But there are some nutrients left in the pulp, and practically all of the fiber, and so I maintain that there is some use in consuming it or at least in feeding it to your children.